Qigong Coaching can empower you to realize your full potential as a healer, coach, martial artist, and spiritual adventurer. The ultimate goal of our events, training programs, and multimedia publications is for all of us to manifest our common dreams of wellness, freedom, and happiness by learning to be in the flow of life. Academy of Qi Dao is the first and only school in the world providing professional education in Qigong Coaching. Please enjoy exploring the facets of this powerful system that integrates the ancient energy art of Qigong with the modern methodology of Life Coaching. Regardless of your level of experience with Qigong, Martial Arts, or other related disciplines, and no matter what styles you may have studied, you are about to learn the principles underlying all styles, experience the flow of energy and learn how to apply this energy awareness to any of the six branches of Qigong: Martial, Therapeutic, Buddhist, Daoist, Confucian, and Tantric. Our basic through advanced training programs and apprenticeship can serve as the graduate level of education for those who already hold certificates or degrees in other Martial Arts, Massage or Oriental Medicine. Whether you live in Portland, Oregon, or on the other side of the globe, you can participate in our long-distance programs using simple internet technology. It can also serve as spiritual training in its own right, promoting awakening in the dream called life. Our academy is dedicated to promoting YOUR life enrichment and spiritual awakening through the practice of Qi Dao. Practicing our Art of Being in the Flow can empower you to realize your full potential as a healer, lover, martial artist and spiritual adventurer. The ultimate goal of our programs is manifesting our common human dreams of wellness, freedom, and happiness by learning to be in the flow of life. Once you have learned it, your life will never be the same… your mere presence may start empowering others to live their lives more powerfully, too. By participating in our programs, you will be able to establish a personal connection with the ancient lineage of Qi Dao, also known as Tibetan Shamanic Qigong. Not only will you be learning the principles and applications of energy awareness from one of the top Qigong Masters, but you will also have a chance to immerse yourself into a unique culture based on an alternative way of perceiving yourself, your relationships, and your world in general. In a supportive community of like-minded people from all over the world, you will embark on a spiritual journey of reconnecting with your true nature without any ritualistic mumbo-jumbo, dogmas or indoctrination. As a beginning Qi Dao student, you are going to learn the basic principles of kinesthetic, energy and body awareness and how to apply them to self-healing, Martial Arts, and meditation. Our intermediate program will deepen these studies while placing a greater emphasis on the therapeutic and spiritual applications of Qi Dao. 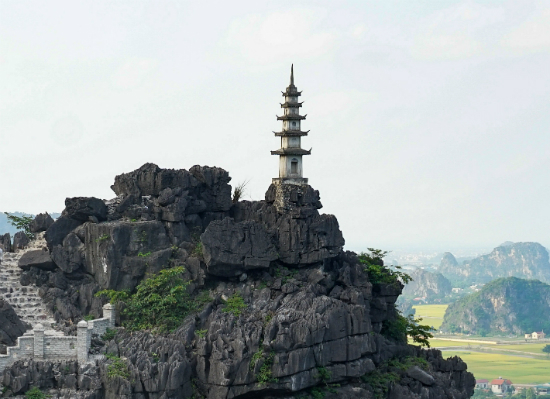 The advanced program is filled with even more in-depth studies including the Daoist, Buddhist, and Tantric practices, as well as Shamanic journeys. In addition to teaching Qi Dao since 2000, Academy of Qi Dao is the first and only school in the world offering professional education and certification in Qigong Coaching. Graduating from the Basic, Intermediate and Advanced Qi Dao Practitioner Certification programs used to be a prerequisite for enrollment into the year-long Apprenticeship program. This year, we removed this requirement, so there are currently no prerequisites for entering our Apprenticeship that provides training in Qigong Coaching and Business Development for Coaches, as well as the modules on Personal Development through Dream Yoga and Qi Dao Fundamentals. Not only will you learn the methodology of Qigong Coaching, but you will also have the opportunity to start practicing it under the supervision of an experienced Qigong Master Coach. By the time you complete your apprenticeship, which takes on average one year, you will receive the training, experience, and support necessary to develop your own coaching practice. Once you become a Certified Qigong Coach, you will be able to pursue one of several exciting career paths that may include working as a Qigong Coach at health clinics, spas, cruise ships, wellness centers, alternative medical schools, and institutions, or establishing a private practice in Qigong Coaching. If you choose to pursue Master’s level training to become a Certified Qigong Master Coach, you will be given an opportunity to intern at Academy of Qi Dao by coaching group and semi-private classes in Portland, Oregon, or at the affiliated schools. The Doctorate level of training will provide you with everything necessary to start presenting workshops and seminars at various venues, facilitating retreats and/or operating a retreat center on your own, or in cooperation with the Academy. But the most exhilarating opportunity is, of course, to manifest your innermost dream – the dream of becoming the enlightened being you truly deserve to be. Lama Somananda Tantrapa is the holder of the lineage of Qi Dao, also known as Tibetan Shamanic Qigong, which has been fostered in his clan for 27 generations. His unique background is complex enough to include several near-death experiences, a black belt in Aikido, and ordination as a Tibetan lama. He has over 35 years of experience in Qi Dao and other Energy Arts taught by his Grandfather who was the last Grand Master of this unique style of form-free Qigong. Most people in the West tend to have some peculiar expectations about Tibetan Lamas based on the news about the Dalai Lama's activities or those of other Lamas known for their public dissemination of Buddhism in the West. Being an ordained Bon Lama in the tradition of Tibetan Shamanism, Lama Tantrapa is much more known for his teachings of Tibetan Shamanic Qigong and Dream Yoga focusing on the practical applications of his arts than for offering lofty theories, pujas, or colorful ceremonies. His teachings are similar to those several other Tibetan masters who introduced in the West a number of physical practices designated to support their spiritual aspirations, such as Chogyam Trungpa with his Shambhala Warriorship, Tarthang Tulku with his practice of Kum Nye, Namkhai Norbu with teaching Yantra Yoga, etc. The Six Yogas of Tantrapa integrate the physical, psychological, and energetic practices in a unified system called Qi Dao that is free of any forms, rituals, or ceremonies. Lama Tantrapa’s coaching has inspired many professional athletes, speakers, dancers, singers, writers, and actors to open up to the infinite source of intuition that exists within everyone. 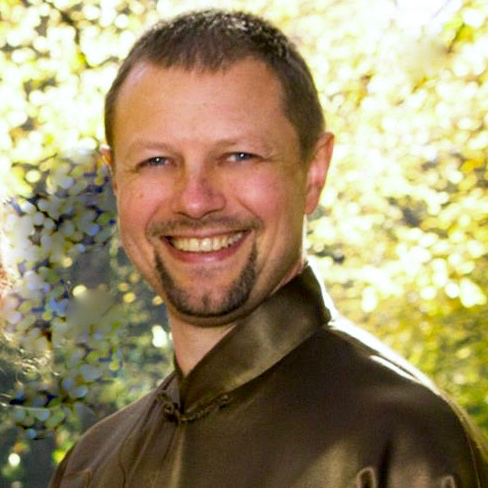 He is the founder of Academy of Qi Dao – the first and only School of Qigong Coaching in the world. Since pioneering Qigong Coaching in the early 2000's, while working at Portland Qigong Clinic, his work empowered thousands of clients and students to live happier and healthier lives. Lama Tantrapa authored best-selling books, DVDs, meditation CDs, and multimedia home study courses on the subjects of Tibetan Dream Yoga, Shamanism, energy healing, and spiritual awakening. Being an avid speaker and presenter, he appeared on many Radio and TV programs in the US and abroad. For a number of years, he served on the Board of Directors of the National Qigong Association and presented workshops at the National Qigong Conferences, as well as World Congresses on Qigong and other international events. In 2009, he conceived and started producing The Secrets of Qigong Masters talk show as well as publishing Mastery Magazine dedicated to mastery in Qigong, Coaching, and Life. With over 500,000 downloads, his award-winning talk show has become the top podcast dedicated to Qigong in the world. With the massive platform and coaching expertise, he now helps up-and-coming Qigong masters gain the crucial publicity and build the authority in the worldwide Qigong community. 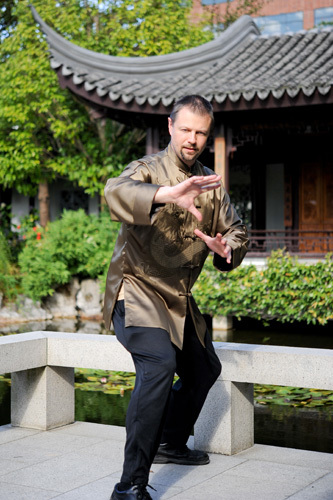 The history of Qigong dates back more than six thousand years. It is much older than any organized religion or philosophical school of thought. The only continuous tradition of self-realization older than that is Shamanism. It is fair to say that Qigong originated from the prehistoric Shamanic practices - the most ancient tradition of spirituality known to humankind that does not have strictly organized rules or religious dogmas. The Shamans of antiquity developed their acute energy awareness for personal development, healing, and protection of their tribes. Through years of trial and error, some of them fine-tuned their abilities to shift attention from the outer appearances of things to their energetic nature that is called Qi in Chinese, Prana in Sanskrit, or Mana in Hawaiian. Energy is the essence of all Being, flowing through all things and manifesting in the multitude of forms. The forms of things are basically vessels for their energetic essence. This applies not only to tangible objects but also to events, relationships, thoughts, etc. Thanks to the diligent transmission of this knowledge through many generations of dedicated practitioners, now we have a way to awaken our dormant abilities to perceive the flow of things in our lives and to be in harmony with that flow. 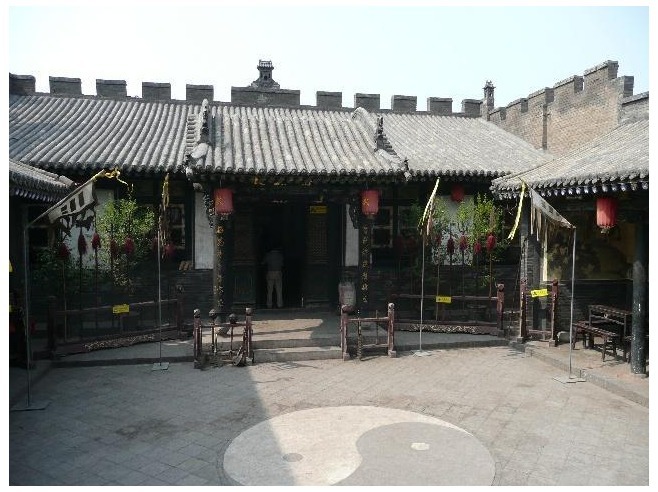 About 2,500 years ago Lao Tzu wrote DaoDeJing, the original Daoist text, while his contemporary Confucius created his Confucian school of thought in China. At about the same period of time, Buddha Shakyamuni experienced enlightenment in India and founded Buddhism. Another Indian system called Tantra developed relatively soon thereafter and later spread to Tibet, as the result of which Tibetan Buddhism became known as Tantric Buddhism. The followers of these four philosophies gradually eventually developed their respective methods of energy work. Two secular branches of Qigong - Martial Arts and Therapeutic Qigong - developed during the Warring States period of Chinese history and solidified after the arrival of Bodhidharma from India to the Shaolin Temple in China. With its integral relationship to Tibetan Shamanism, Qi Dao is based on directly experiencing human energy fields and the universal flow of Qi – energy or life force. Practicing this type of energy work develops a bridge connecting the physical body with the unconscious mind, promoting the awakening of the Dream-being or Spirit if you will. 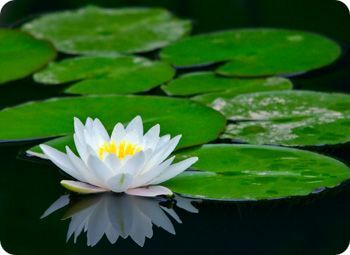 This connection of mind and body can be seen in the practice of empowerment – the spontaneous and natural movement of the physical body following the flow of Qi, which naturally brings you closer to the direct experience of spirit. What if you could learn how to perceive the flow of things in this constantly changing world and align the flow of your life with it? This kind of awareness would empower you to "be in the flow" at will, wouldn't it? When you are in the flow, you can gain access to the abundant sources of inner wisdom and power. "Being in the flow" also means becoming capable of effortlessly manifesting your greatest dreams and living to your highest potential. Qigong Coaching represents the “missing link” between the modern methodology of Life Coaching dedicated to improving the quality of life by making it more meaningful and the ancient Energy Arts working with the energy that integrates your body and mind into a complete human being. This holistic modality not only addresses the issues on the physical, emotional, and spiritual levels but also balances all these levels. As your coach, I will carefully guide you through discovering and exploring the qualities of human consciousness that often stay dormant in the conditions of the “information age” lifestyle. While most life coaches try to keep their clients focused on their goals and outcomes of their actions, your coaching journey with me will begin with learning to accept fully your present situation first, without which attaining any future-oriented dreams is often impossible. Instead of stereotypical setting and pursuing goals, the focus of your Qigong Coaching program will be on manifesting and living your authentic dreams, because dreams are more flexible and adaptable to the ongoing flow of changes than any goals can ever be. During your coaching sessions, you will learn to recognize the flow of your life, including all the details of your current situation, as valuable learning resources that can help you live your dreams… however surprising this may sound. As your coach, I will also assist you in gaining more clarity about your vision, which will make it much easier to manifest it, since it is hard to manifest the dreams you are not clear about. You will also learn to focus your attention on the energy of your life’s main purpose and other dreams you aspire to manifest in order to find the energy within you that resonates with your greatest dreams. The mere fact that you dream of living these dreams indicates that you already have some energy resonating with their manifestation. The main question you will need to find the answer to is: ”How would you need to BE in order to make this energy the driving force that would empower you to manifest and live your dreams?” Finding the suitable way of being and learning to consistently be that way will naturally facilitate the manifestation of your dreams and aspirations. Throughout the process of coaching, I will do for you what your best friend might do, if you only had a friend who would consistently and skillfully keep you accountable for following through with the commitments you make about your course of actions and way of being. If you are in any way similar to most other people, you are not immune to the suffering that results from the gap between your way of being in the present moment and the way of being associated with living your dreams. To set you free from suffering, Qigong Coaching will empower you to close this gap between your current state of affairs and your dream state thereby giving you the opportunity to live your dreams in the present. You will also be able to use this energy awareness for developing a more Harmonious Culture of Movement, transcending your habitual Holding Patterns, learning to be a lot more responsive and awake in the dream called your daily life. - Manifesting your dreams of abundance and prosperity.